The ACCC has released guidance for egg producers with the National Information Standard on Free Range Eggs coming into effect 26 April 2018. Under the new standard, egg producers cannot use the word ‘free range’ on their egg cartons unless they meet a number of criteria, including that the eggs come from farms with 10, 000 hens per hectare or less. Other requirements include that the hens must have “meaningful and regular” access to outdoors during the day during laying cycle and be able to roam and forage outdoors. Chairman of the Australian Competition and Consumer Commission (ACCC), Rod Sims, said the guidance helps explains what could be considered misleading and deceptive conduct when it comes to the new free range standard. 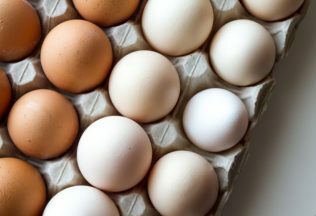 “If egg producers use images, pictures, or words, other than free range, that imply their eggs are free range when they are not, this would likely raise concerns under the Australian Consumer Law,” Sims said. Sims said the new free range egg standard has been introduced to ensure consumers are getting what they pay for when it comes to free range eggs. “Shoppers are willing to pay a premium for free range eggs, but only if the chickens genuinely have regular access to an outdoor range,” Sims said. Whilst the ACCC prepare for the introduction of the standard, consumer advocacy group, CHOICE, continues to petition for the standard to be changed from 10, 000 hens per hectare to 1, 500. The ACCC’s free range egg guidance can be found through the ACCC’s website.